Recognize professionalism when and wherever due. 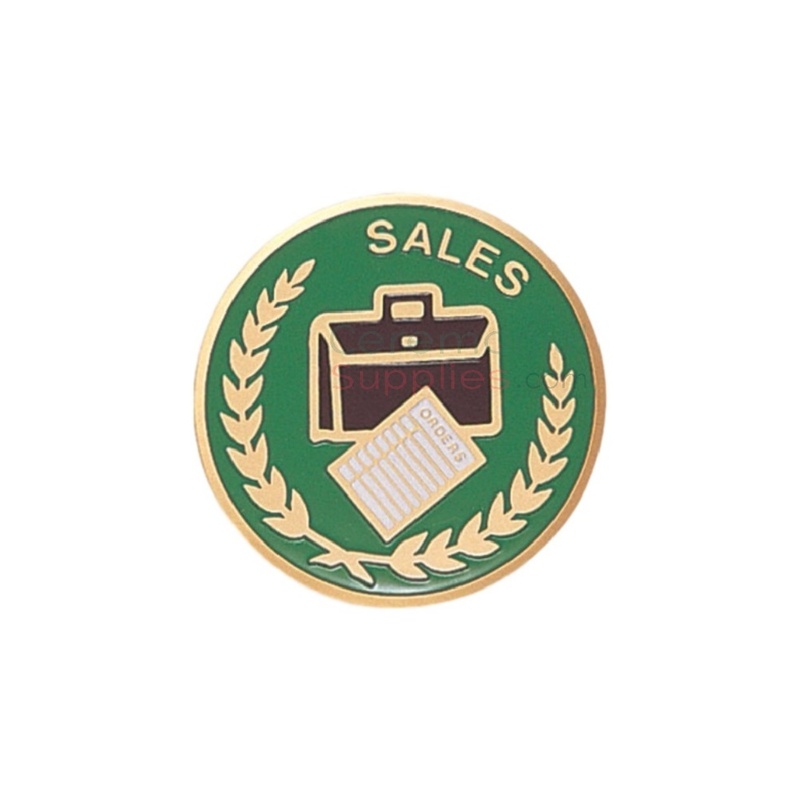 This is a medal featuring an etched design of two sales symbols, a briefcase and a spreadsheet. It measures 2 inches in terms of size and features a plain rim medal frame measuring 2.25 inches. Your purchase includes a neck ribbon in a solid color measuring 32 X 1.25 inches. Ribbon color options available are blue, red, white, green, gold, black, and purple. Anyone can be a salesperson but not many can be a true sales professional. These are the individuals who paid their dues, studied the market, tested the waters and accomplished great things in the field of sales.There can never be too many ways to express the recognition such a person garners in a field as cut throat and challenging as that of sales. What the Sales Medal can do, is provide you with yet another excellent option when it comes to choosing medals to award your eminent performer.